Redshirt junior guard Mike’L Simms scored a season-high 15 points on 5-of-7 shooting, including 3-of-5 from 3-point range, lead the Rams to an 11-point victory over Rider Saturday. In all, five Rams scored in double figures. VCU junior guard Marcus Evans supplied 15 points, five assists and five rebounds in 29 minutes of action to lead all scorers. Junior guard De’Riante Jenkins added 13 points, as well as a team-high six assists in 28 minutes for the Black and Gold, while classmates Issac Vann and Malik Crowfield combined for 23 points on 9-of-16 shooting, including 5-of-9 from beyond the arc. Stevie Jordan led the way for Rider, supplying 12 points, seven assists and six rebounds on 3-of-7 shooting from the field. With the Rams leading 11-6 with 16:45 left in the first period, Vann’s steal and slam ignited a 12-3 VCU run to extend the Rams lead to 23-9 with 13:36 remaining before the half. After Rider cut the lead to 35-22 at the 7:21 mark of the first period, back-to-back Corey Douglas layups sparked a 10-2 run to give the Rams their largest lead of the game at 47-24. VCU entered the half leading 49-33. With VCU leading by 15 with 11:59 remaining in the second half, Crowfield hit three straight 3-pointers to extend the Rams lead back to 74-52 with 10:26 left in the game. 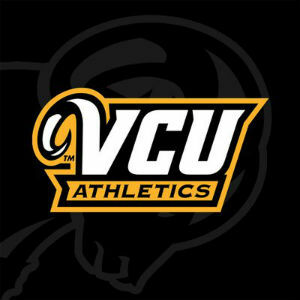 VCU returns to the court on Saturday, Jan. 5, at 2 p.m. when they travel to Bronx, N.Y. to take on Fordham in their first Atlantic 10 Conference contest of the season.